Bottega Veneta is an Italian market brand that offers leather bags as well as women's and men's apparel. This upscale style has made a lasting impact in the handbag fashion industry. The extensive collection offers the latest fashion as well as practical and useful bags. With Big Apple Buddy’s personal shopping service, you can now buy direct from the Bottega Veneta online store anytime, anywhere. 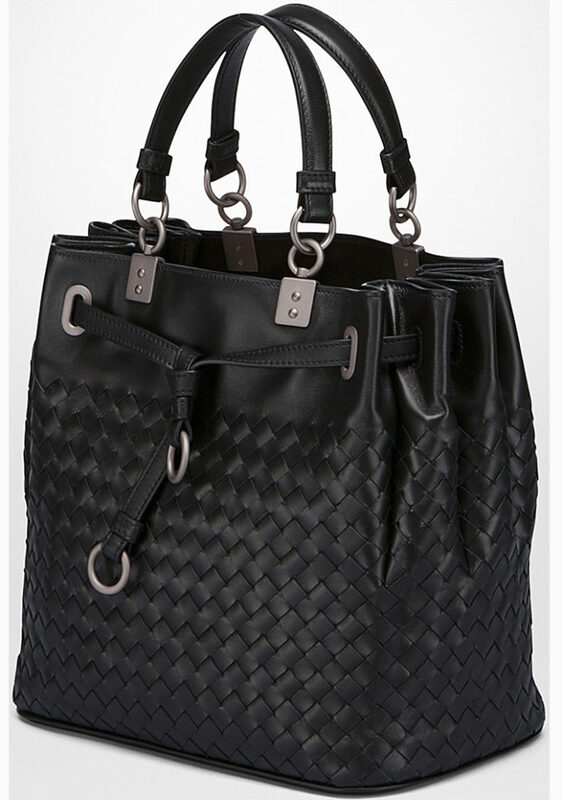 You'll never want to leave your house without the Bottega Veneta's Bucket Bag In Pacific Intrecciato Nappa! This convenient bag can fit all your essentials and more whenever you need to head out. Tired of going through your entire bag trying to look for your phone? The Bucket Bag has a smartphone pocket just for that problem. The fine leather that makes up this bag guarantees a comfortable and fashionable look. Are you looking for a more lightweight option? 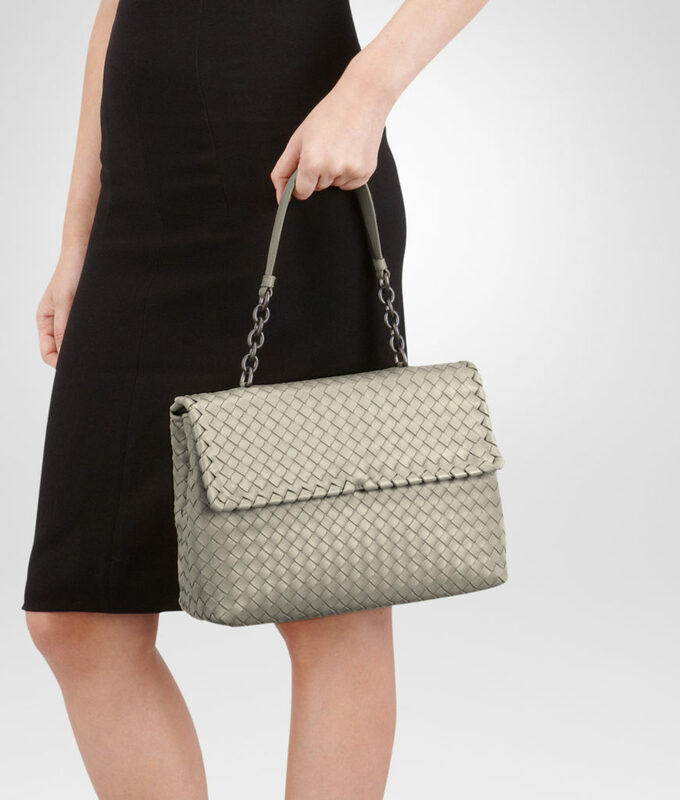 The Bottega Veneta's Small Olimpia Bag could be the perfect option for those who don't want to carry anything heavy. This versatile bag allows you to carry it on your shoulder or you could hold it as a hand purse and tuck in the strap. The fun and bright colors are perfect for the summer and a fun night out and with the two compartments, you'll fit all your essentials. 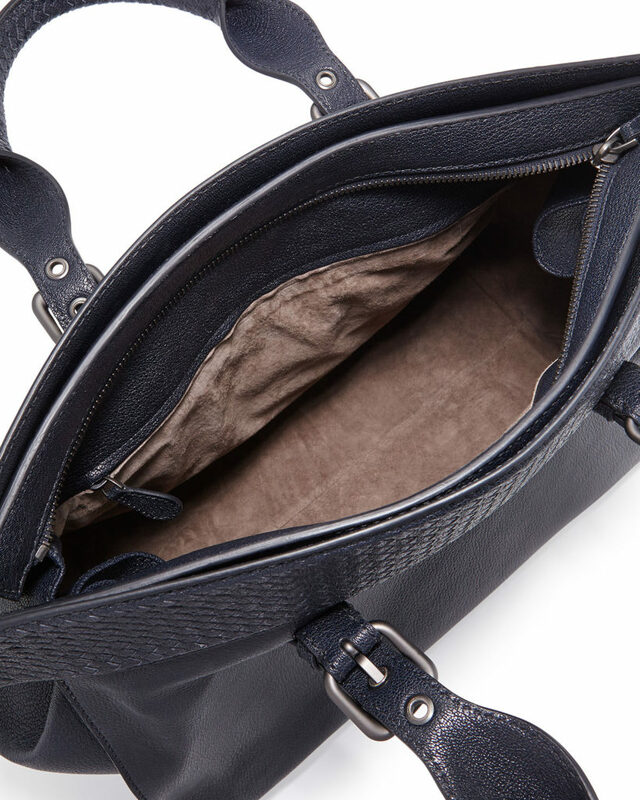 Stay organized with the Bottega Veneta's Large Top Handle Bag! It's easy to carry this bag all day and bring with you what you need the most. The slender handles are soft on your shoulders so you won't experience any discomfort with this beautiful bag. The intricate design will make you stand out with this unique bag. Best of all, it's extremely practical and secure so it can be a bag that you count on while looking your best. Unfortunately, the USA Bottega Veneta online store does not currently offer international shipping. However, Big Apple Buddy, your personal shopper, can help you buy products direct from the official USA Bottega Veneta online store and ship them to your doorstep, no matter where you are in the world. We offer international shipping to over 110 countries including Australia, Austria, Azerbaijan, Bahrain, Belgium, British Virgin Islands, Brunei, Bulgaria, Canada, Chile, Costa Rica, Croatia, Czech Republic, Denmark, Estonia, Fiji, Finland, France, French Polynesia, Germany, Gibraltar, Greece, Greenland, Hong Kong, Hungary, Iceland, Indonesia, Ireland, Israel, Italy, Japan, Jordan, Kuwait, Latvia, Liechtenstein, Lithuania, Luxembourg, Macau, Malaysia, Maldives, Malta, Marshall Islands, Mauritius, Monaco, the Netherlands, Netherland Antilles, New Zealand, Norway, Oman, Poland, Qatar, Romania, San Marino, Saudi Arabia, Serbia and Montenegro, Seychelles, Singapore, Slovak Republic, Slovenia, Spain, South Africa, St. Lucia, Sweden, Switzerland, Taiwan, Thailand, the UAE, the UK, Vatican City, and Vietnam. If you would like to buy from the USA Bottega Veneta online store, simply let us know which items you would like to order (by filling out the form below) and we’ll get back to you with a free international shipping quote within 24 hours!